Something Spanish? Yes, for me! So besides La Bodega, here is another favorite place of mine for Spanish Food and Sangria. In fact, Sentidos is always in my preferred list. Sentidos has been operating for years and it's one of the award winning restaurants for best tapas. A rosy and yet chicky designed restaurant with red tone, warm hues and Spanish decorative definitely creates a comfortable environment to the dining pleasures at Sentidos. Sentidos offers a good number of classic tapas choices, from hot to cold appetisers and several paellas that fills your fancy. And they serve over 30 wines, draught beers and non-alcoholic drinks too. Red Sangria, voted best in town. 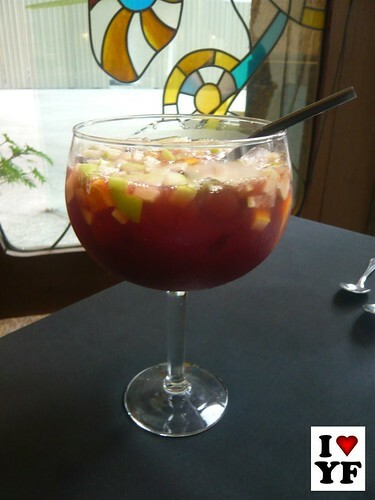 It's a good start with a fruity sangria but a stronger pour of wine would be perfect! That's for me! 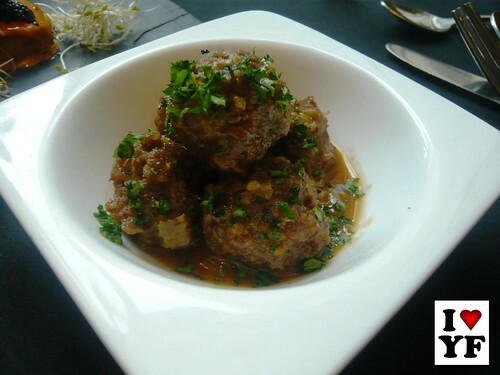 Savory lamb meatballs with absolute tenderness. Rich & flavorful! Well marinated and grilled to perfection. 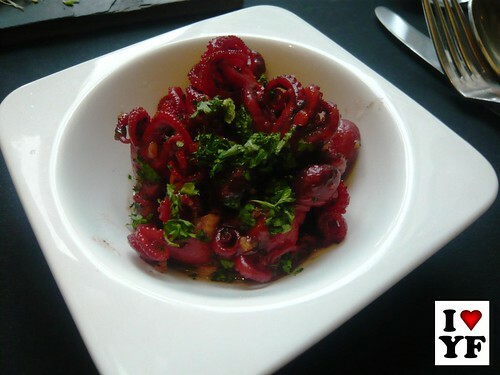 Like the rich meltingly tender taste of the marinated baby octopus. Something new for me. Rich, tasty and filling. With no doubt, its a good try! 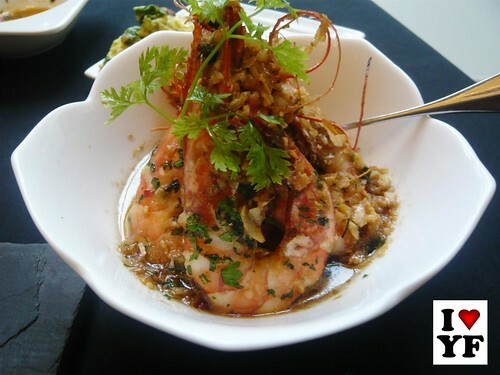 Aromatic succulent prawns in garlic sauce. With a little dash of spiciness, it's simply pleasing! 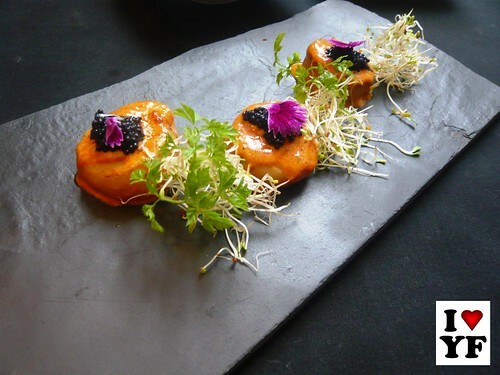 Extremely fresh and juicy scallop with paprika emulsion. 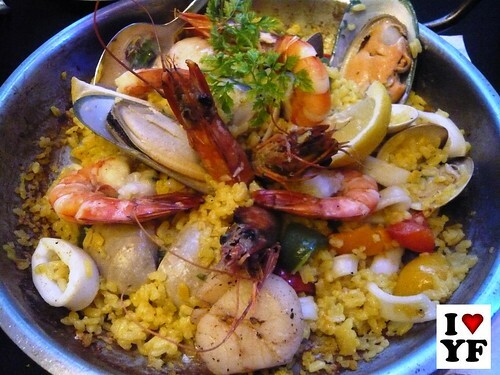 Spanish safron rice specialty with a generous dose of clams, prawns, squid and mussel. The variety of seafood adding its own flavour and texture to the rice dish. Enjoyed this exciting and mouth watering dish. Now that I am craving for a glass of Sangria and some tapas! Not easy to be a food blogger though. Always, craving for more, especially the good ones that I have tried. 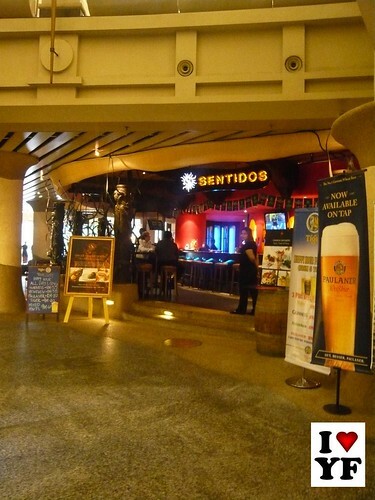 Sentidos, is one of the restraurants in Kuala Lumpur that offers savoury tapas. Indeed, it's a great place to hang out! A unique restaurant hidden at the all time jam area- Damansara Utama but yet popular for it's food and concept. The eestaurant offers a unique concept: quaint, warm old-school-classic-meets-contemporary space. The mismatching of the wooden tables,chairs and vintage furnitures with not overly decorated cafe creates a homey old style ambience. And the menu is presented in the "Peter & Jane" story book. The restaurant serves authentic grandma recipe, which suits one's discerning palates. The menu covers Peranakan cuisine, Chinese cuisine as well as Malay and Western cuisine that has a rustic, home cooked flavour, which evokes a comforting familiarity. Besides that, Fat Spoon cafe is famous for its coffee as well. The Chinese style popiah is famous for it's pork lard taste. But at Fat Spoon Cafe ( a pork free cafe) the popiah is prepared without pork lard. My thoughts -it would be good and I was wrong-Tasted good indeed! 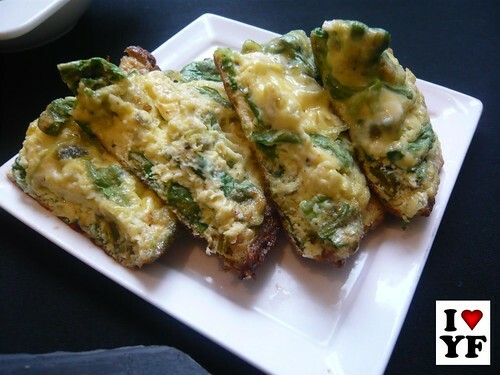 Served with a side of medium boiled egg and lemongrass soup. Very well marinated crispy fried mackerel. Honestly, that piece was just not enough! Simply appetizing! Fat Spoon special platter with curry chicken, tamarind prawns, belacan long beans, salted egg and papadum served with steam rice. Tasty thick curry gravy pairing with belacan long beans means awesome. Love the quaint and laid back hippy ambiance. It's neither wildly innovative nor convulsively uproarious restaurant but it definitely offers a warm and cozy environment to chill and dine in for some good food or perhaps for some snacks and coffee.